15 Unmissable Things to do in Malaga – The Discoveries Of. Think Malaga is all about beers and beaches? You’re in for a surprise. 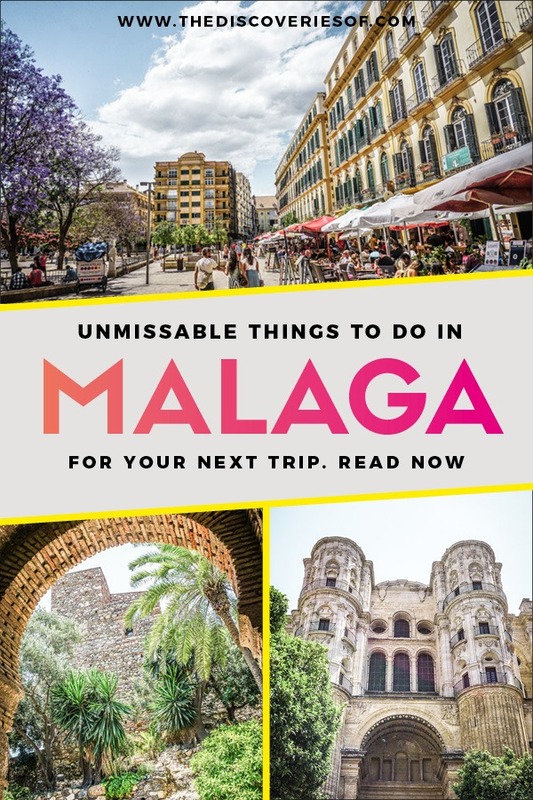 From the cobbled streets of the enchanting old town, to stellar Andalusian tapas and Picasso Museum to boot – don’t miss my guide to the best things to do in Malaga. Malaga is one of the most famous spots on Spain’s Costa del Sol. I have to admit, I wasn’t sure what to expect from Malaga. We booked a stay for a few weeks last year to use it as a base for our southern Spain itinerary. It was handily located for getting around and I’m always keen to explore somewhere new. It was a total eye opener. I came back from that trip raving about Malaga to anyone who would listen. 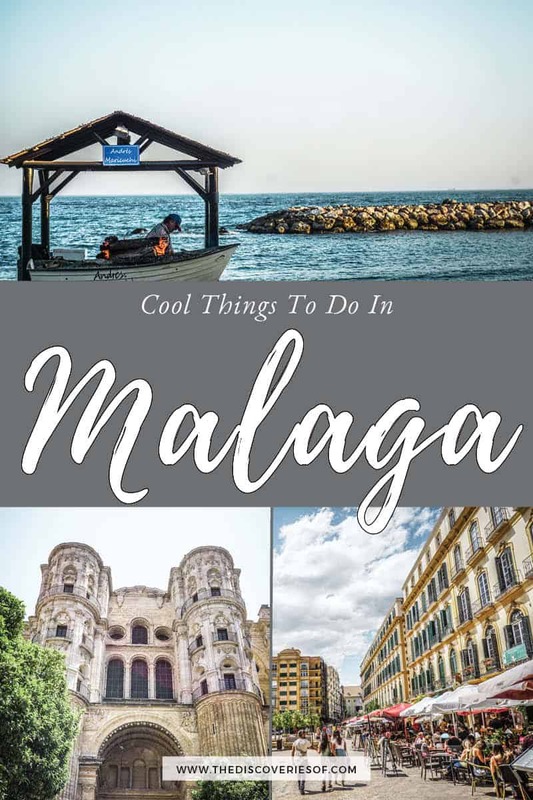 Not only did we discover so many cool things to do in Malaga, but we also fell in love with the delicious cuisine, striking old town and laid-back beaches. Looking for the best things to do in Malaga? Here’s a quick guide. What are the best things to do in Malaga? 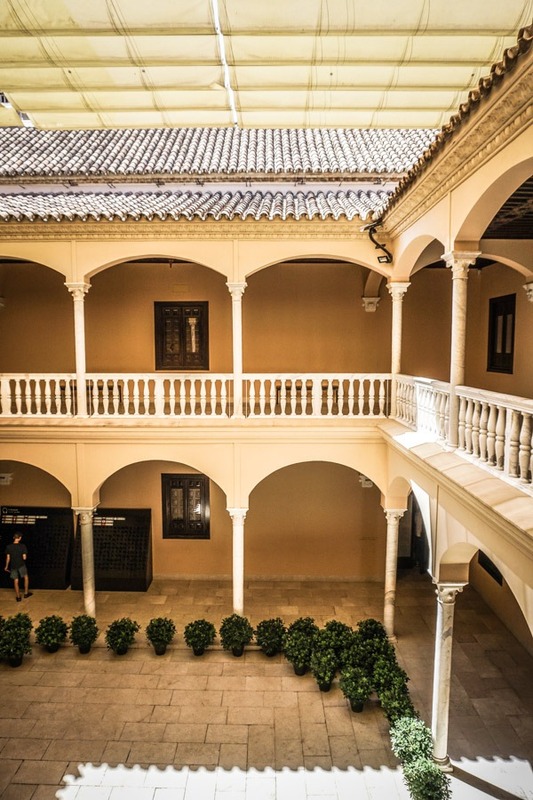 Malaga’s Alcazaba (royal palace) might not have the impressive scale of Granada’s Alhambra, or the opulence of Sevilles’s Real Alcazar, but it undoubtedly has a charm of its own. Why is this one of the best places to see in Malaga? 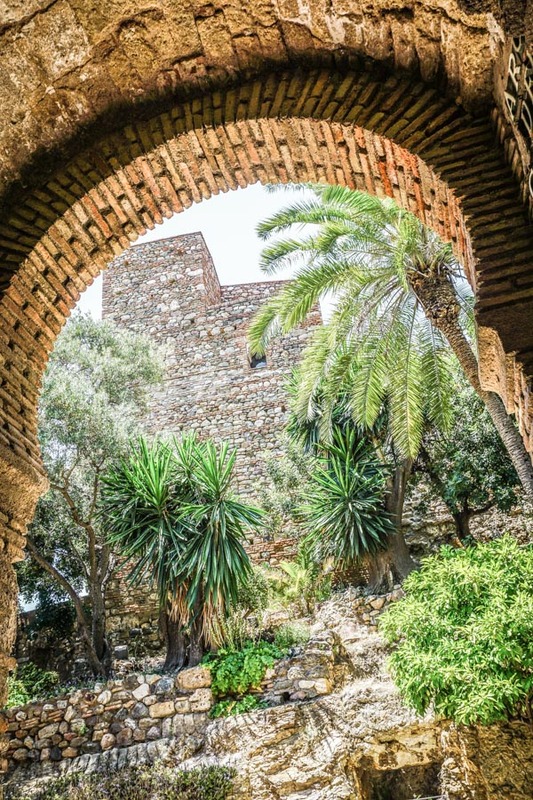 The Alcazaba is a pretty cluster of old buildings, the remains of the Moorish palace in Malaga. The buildings have been partly-restored, and are accompanied by pretty gardens and gorgeous views out to sea. Compared to the Alhambra, Malaga’s Alcazaba is teeny tiny. I’ll let you in on a little secret though – that’s a good thing. It means that you won’t be jostling with what feels like millions of people to grab a peek at each room or pretty spot. I visited in the middle of the day in June and there were only a few other people milling around, so I could appreciate the peace and tranquillity of the spot. Be warned, there isn’t much information about the history of the Alcazar inside the compound. 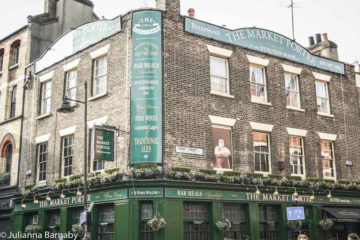 I’d recommend booking onto a guided tour if you want to learn about it in any detail. The Castillo de Gibralfaro is not only one of Malaga’s biggest sights, it also boasts spectacular views over the city. That’s why I’ve picked it as the first spot you shouldn’t miss when sightseeing in Malaga. An old protective fort, the Castillo is an important historical site. It’s most famous for being the site of a three-month stand off between the Moors and Christians during the reconquest of Spain. The Christian troops besieged the Moors in the fort for three months until they surrendered when they ran out of food supplies. Sounds a bit grim right? Luckily visiting today is a much pleasanter affair. Though many of the buildings have been destroyed, you can walk around the Castillo’s ramparts and courtyards. Be warned, it’s a steep and hot walk up to the Gibralfaro from the Alcazaba – you can do it, but make sure you bring lots of water. Alternatively, hop on the bus or drive up to the Castillo from the centre. 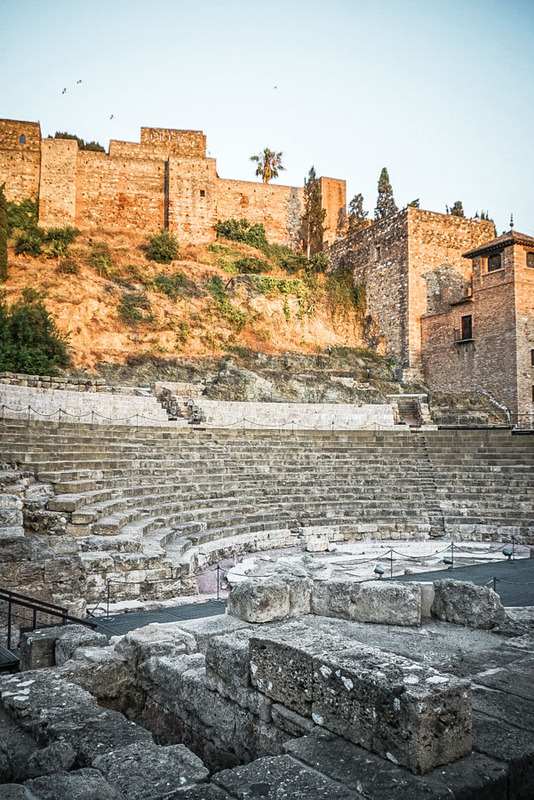 The oldest monument in Malaga City, the ruins of the Roman Amphitheatre are pretty difficult to miss. Dating from the 1st century, the ruins of the Roman theatre are remarkably well-preserved. They’re one of the few surviving Roman ruins in the south of Spain, and worth a stop while you are in the old town. Don’t miss the informative visitor centre either. Just by the entrance to the ruins, they offer visitors the chance find out more about the history of the building and Roman rule in the region. No Spanish town or city would be complete without a spectacular plaza at its heart. Plaza de la Merced might not have the dramatic appeal of some of Spain’s plazas, but it’s the perfect place to while away a few hours while watching the crowds. Don’t miss the building on the north corner – Malaga’s most famous resident, none other than Pablo Picasso – was born there. The house has been turned into a small museum. I skipped it in favour of visiting the Picasso Museum around the corner (see below) but you might want to check it out. The beaches in and around Malaga city aren’t spectacular. You’ll want to head along the coast towards Nerja for something a bit prettier. That said, the city beaches aren’t bad and are nice enough for a spot of sunbathing. Take your pick – there are quite a few of them. Nudists and naturists should head to Playa de Guadalmar – Malaga’s only naturist beach. Misericordia Beach is popular with families, while Baños del Carmen is quieter and relatively undeveloped. Don’t forget to top up on your sunscreen! 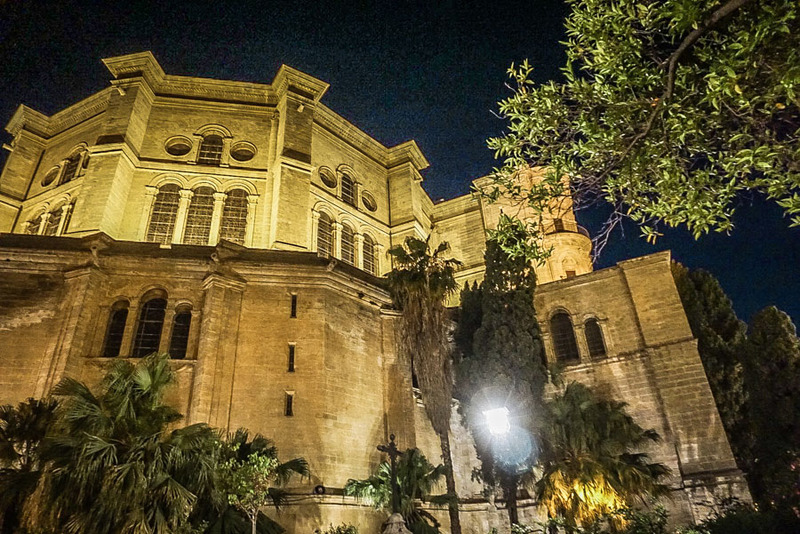 It’s almost impossible to miss Malaga’s striking cathedral. When it comes to things to see in Malaga, it’s definitely one of the most remarkable. 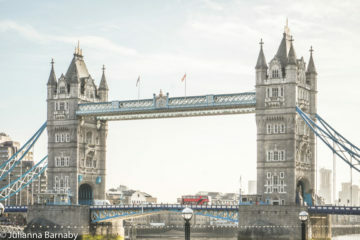 Nestled in the heart of the city, it’s an impressive sight. Look a little closer though and you’ll notice something a little weird: it only has one bell tower. Turns out that the cathedral’s nickname La Manquita, which translates as the one-armed woman, is a literal one. Funds for building the second tower were donated to champion the American War of Independence… leaving the cathedral with one tower and a nickname that would stick throughout the centuries. Inside, the Cathedral is no less stately – if only for the size alone. The opulent decor and detailed carvings only add to the effect. Want to see something really special? Book yourself in for a guided tour of the cathedral’s rooftop: it’s a great chance to learn more about the history of the building and nab some awesome views out over the city. I’ll be the first person to admit how surprised I was by the exuberant charm of Malaga’s old town. Chuck away the map, put away your phone, and spend some time walking in the maze of cobbled streets. Bonus points if you stop off for some local Tinto de Verano (think Sangria, but tastier and just as refreshing) and a gelato along the way. No, not the one in Paris! Malaga’s been making waves on the art scene with the opening of the Pompidou Centre Malaga in 2015. The gallery showcases an ever-changing rotation of contemporary art exhibitions and performances. All this alongside a permanent collection that includes works by artists including Robert Delauney, Wassily Kandinsky and Antonio Saura. If you didn’t know that Picasso was born in the city before you visit Malaga, you certainly will within about five minutes of walking around. Spain’s most famous artist was born around the corner on the Plaza de La Merced and lived here until he was 10. OK, I’m going to make a confession… I don’t love Picasso. There, I said it. I totally understand that he rewrote the rulebook on artistic form and norms. I get that he was clearly a very skilled and talented artist. But with a few exceptions, his work just doesn’t do it for me. BUT. It would be sacrilegious to come to Malaga and not pay homage to Picasso, so off I trotted to the museum. Even if you don’t love Picasso, the Museo Picasso is one of the best things to see in Malaga. Watching the evolution of the artist’s work, whilst listening to the free audio guide actually ended up being one of the highlights of my time there. The museum also hosts special exhibitions in a dedicated space upstairs. Check their website to see what’s on. The Carmen Thyssen is a gem of a museum showcasing pieces from the private collection of Carmen Thyssen. It is one of the more unusual things to do in Malaga for those wanting to delve a little deeper into Spanish culture. It should be at the top of your list of things to see when you visit Malaga. Thyssen (whose family’s art collection is on display in the Museo Thyssen Bornemisza in Madrid) has always been an avid collector of art. A visit to the museum is the chance to walk through famous Spanish paintings from the 19th century. Do you ever have one of those meals that make your stomach sit up and pay serious attention to all the yummy, scrummy goodness you’re feeding it? That’s exactly what happened to me in Cortijo de Pepe. Wherever they seat you, just know that the meal will be worth whatever slight discomfort the bustling crowds cause. Picture this. We’d just driven down from Madrid in a sweatbox of a car with no aircon, it was 8pm our Airbnb wasn’t ready and we were making the kind of low-level snarky comments at each other that can easily escalate into a full-blown tantrum. Then we stumbled across Cortijo de Pepe and it saved the day. How can you be grumpy or irritable when you are feasting on some of the best Spanish tapas you’ve ever tasted? Palate-tingling, bursting with flavour – there’s nothing on here that you won’t see in another Spanish restaurant, but somehow they’ve turned it into something spectacular. 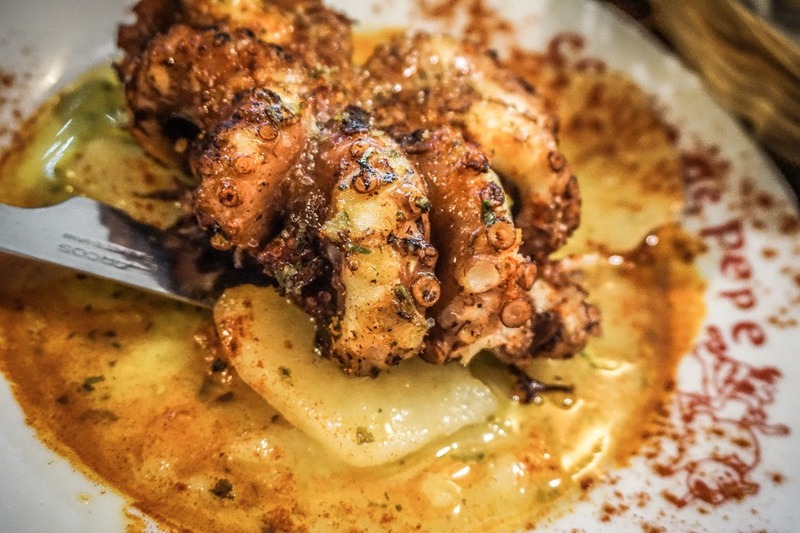 If you’re not squeamish about these things, the octopus, slowly braised, then grilled over charcoal and tossed in extra virgin olive oil and fresh sea salt is guaranteed to blow you away. Look, regular readers will know that I’m at least 80% motivated by food. 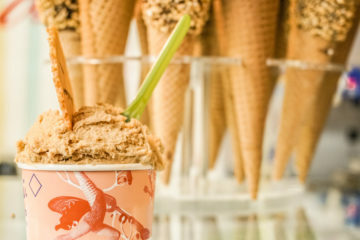 So yes, there are a lot of food-focused entries in this piece on the best things to do in Malaga. No shame, this is Spain and food this good should be celebrated. Malaga’s food scene has traditionally involved a lot of fish (surprise), fresh off the boat and simply cooked. 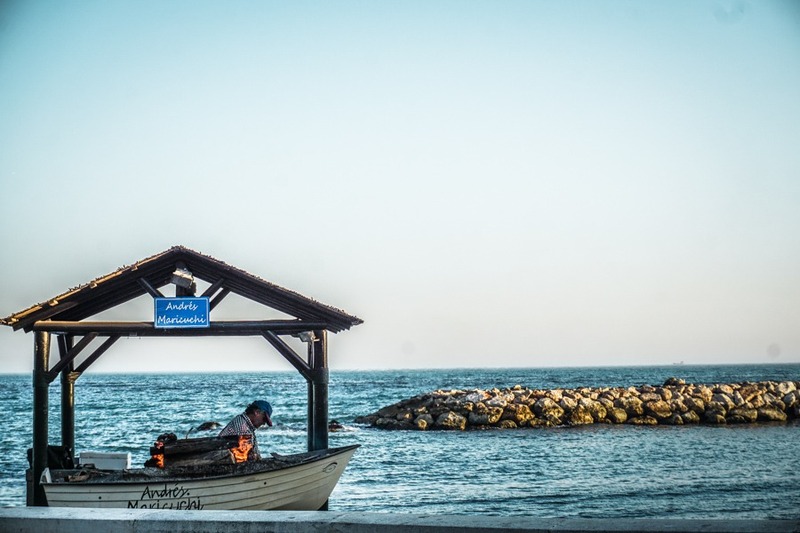 Maricuchi, like many of the city’s best fish restaurants, is located on the Paseo Maritimo stretch of coast. It’s a short drive from the centre of town: if you have the time, spend the whole day on the beach here then pop into Maricuchi for drinks and dinner when the sun goes down. The menu is pretty much exclusively fish. 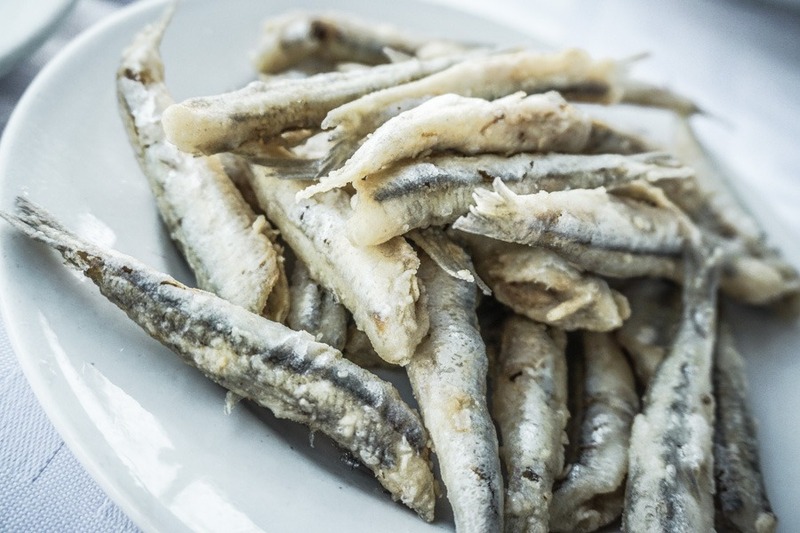 Start with the traditional fried boquerones, washed down with a crisp glass of verdejo. Move on to the sardines, skewered and cooked over a wood fire then..
To be honest, it doesn’t matter what I recommend. At the end of the day if you like fish and seafood, you are going to love this place. Malaga has a couple of cool food markets dotted around town. Go with a hungry stomach and fill up on the seemingly endless array of pinchitos and tapas. Alternatively, if you’re staying somewhere with cooking facilities, they’re a great place to stock up on fresh produce to cook at home. Mercado Central de Atarazanas is the best-known market and one of the top places to visit in Malaga. Housed in a beautiful building that has been a hospital, military fort and convent over its long history, the food is pretty damned good too. Alternatively, pop into the revamped Mercado de la Merced, behind the Plaza de la Merced for your pick of tapas stalls, grocers, butchers and fishmongers. Pretty much every guidebook and article I read about Malaga recommended eating in local institution El Pimpi. The restaurant is handily located across from the Roman Amphitheatre and Alcazaba (and has the views to match) but dining-wise, it’s a bit blah. There are better tapas restaurants in the centre (El Cortijo de Pepe for one). But there’s nothing to stop you from having a cheeky Tinto de Verano and indulging in a bit of people watching before you head somewhere else for your main meal. Another day, another restaurant riiiiiiight. Sorry guys, this guide to Malaga is very food focused (I don’t hear anyone complaining though). Wendy Gamba is a cool little restaurant hidden down one of the backstreets in the old town. 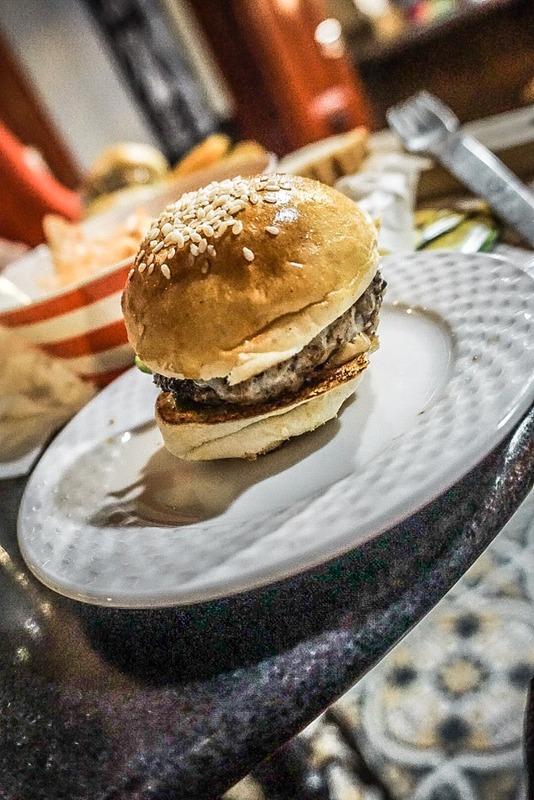 Sure, you’ll find gambas (prawns) on the menu and they’re tasty enough… But weirdly, the real star of the show is the bull tail burger slider. Juicy, rich and dense, it’s topped with havarti cheese. OK, have to stop typing because just thinking about it has made me really, really hungry. 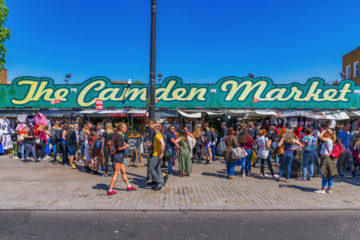 Looking for more food destinations in the city? 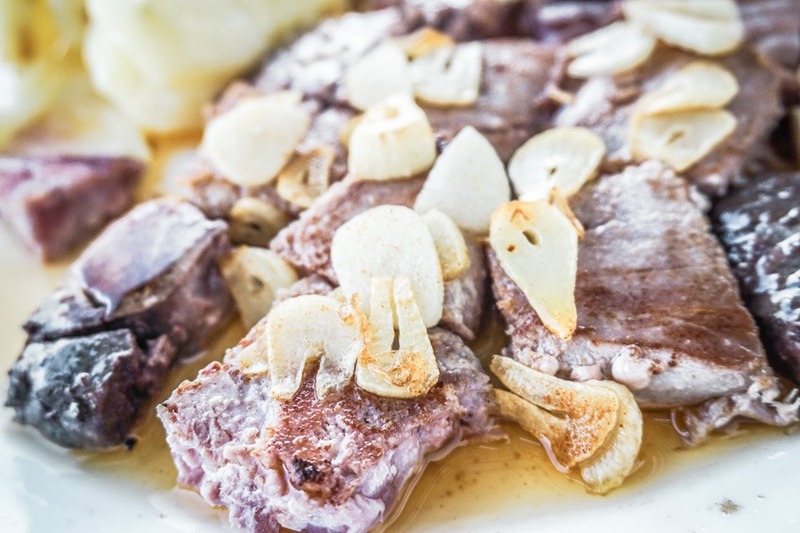 Why not book onto a Malaga food tour? You can fly direct to Malaga Airport from a number of destinations. Check flights to Malaga now. Alternatively, you can fly to Almeria, Gibraltar, Granada or Jerez – all of which are within a 2.5 hour drive of Malaga. Check flights and prices now. 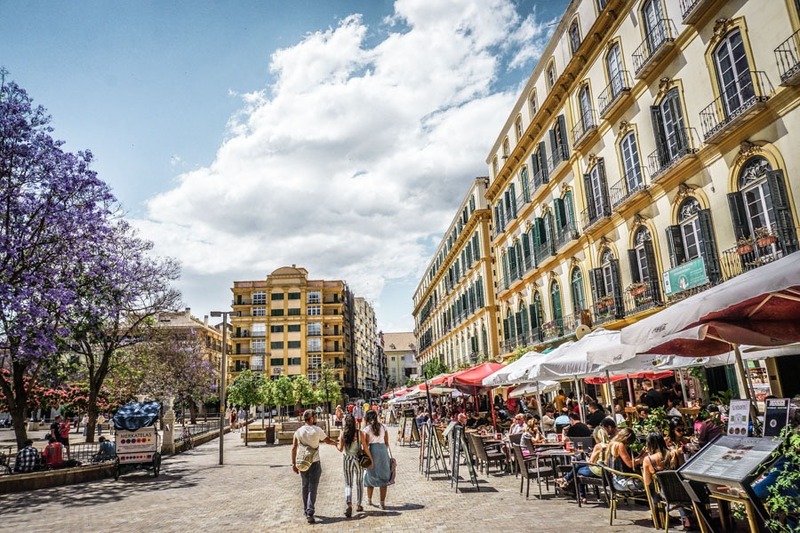 You don’t need a car if you are planning on staying within Malaga itself for a city break. But you will find it useful if you are going to visit other destinations in Andalusia. Compare car hire costs with Holiday Autos. You can nab some excellent value deals in Malaga’s extensive hotel accommodation. Prices go up in the summer months. Check hotel prices in Malaga on Booking.com. 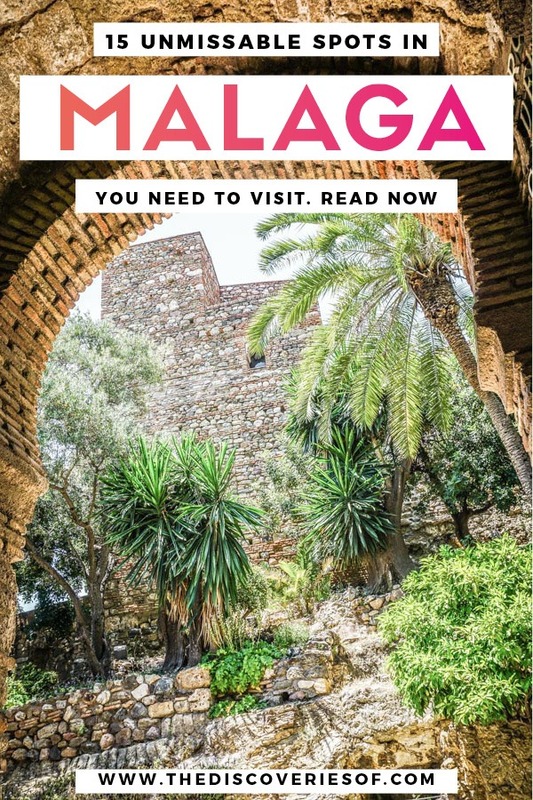 There we are, my guide to what to see in Malaga – I hope that you have a great trip. Any comments or suggestions, drop me a message in the comments section below. I would add Craft Beer cafe Arte & Sana with its 700 different beers and super customer service! Ooh – didn’t get to try that. Thanks for the suggestion Paula!